I am truly blessed to have the opportunity to see my children daily and see them grow. 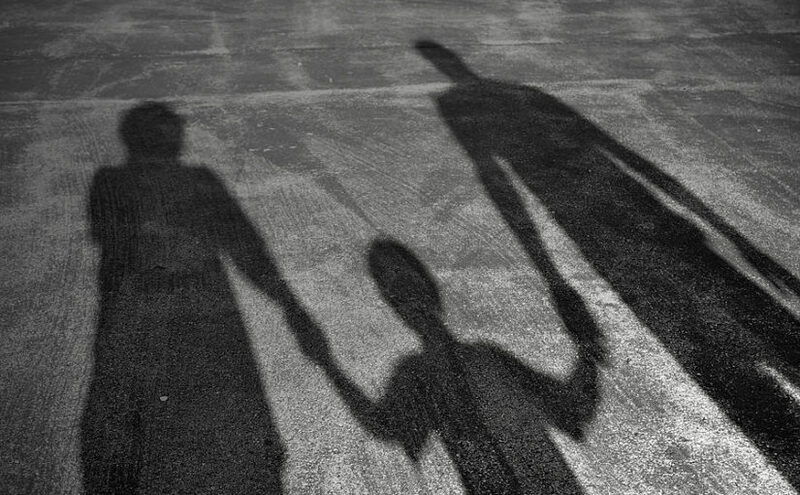 This privilege is one that I do not take likely or for granted, because I know many fathers that desire and long to have their children with them daily. This past weekend, I had the joy of serving with my children at a local fundraiser on Saturday and Sunday. All three of the kids (Oliver, Ruby, and Nadya) help me setup for the annual event on Saturday afternoon and then Ollie asked if he could serve with me on Sunday. I was pleased and excited that he would want to serve with me. I did caution him that it would be an early morning, but he assured me that this was his desire. Oliver had the most pleasant and excited demeanor the entire morning and was willing to learn and help as needed. His joy and excitement is the best ROI (return on investment) that I could ever ask. He loves serving and bringing joy to others. 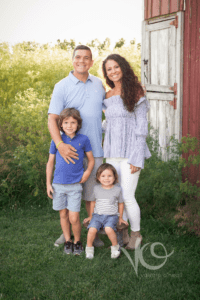 As I reflect on my childhood and experiences with my father and the relationship that I have with my kids, I can better relate to some of the stories in the Bible, especially father and children stories. My relationship with my father is complex and rich. 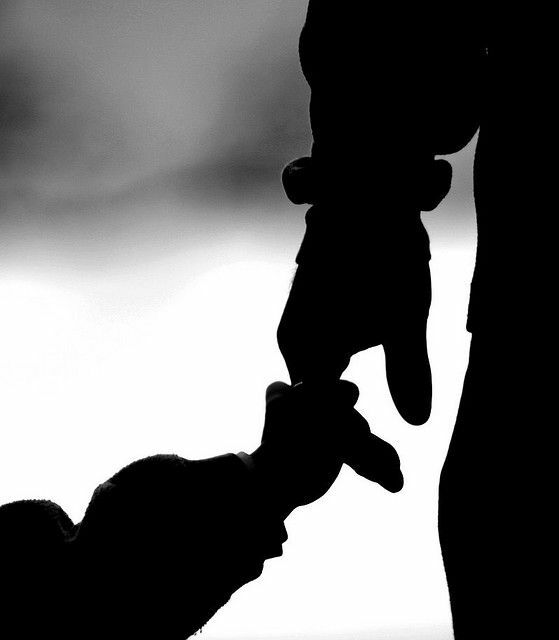 For the majority of my life, I have had a relationship with my father, but I missed the early daily adventures with him due to the divorce of my parents. As a young child and through today he is one of my closest confidants and mentors. I speak with him weekly and we have a great relationship. My relationship with my children is one that visceral and emotional. We have many adventures and joyous times. We also have times of instruction and learning. Every moment that I have with them I cherish beyond measures. My children give me peace and humility to become a better person. In Proverbs Chapter 4, Solomon is giving instruction to his children as his father gave him instructions. Solomon is imparting to his children the importance of passing on the virtue of wisdom and understanding. This is the father’s purpose: to instruct and guide. It is the father’s purpose to prepare the children in a manner that will be beneficial and prosperous to the next generations. This charge is given to all parents to be stewards of our children and give them instruction and direction for their life. Throughout the bible many times the author challenges the audience to decide: whether you are the audience for approval or the audience for correction. In Proverbs, we ask ourselves if we are the ones that the instruction is intended to prevent or correct our actions. We must examine ourselves daily to see if we are seeking wisdom or have we turned away. The wisdom that we have gained, we must give to the next generations. We must daily review our purpose and use of wisdom and adjust according. May we pray daily for our children as David did for Solomon, which Solomon did for his children as evident in the passage. Have you ever been blessed by God and felt unworthy? Do you hide from Him because you recognize your sin and don’t want to face judgement? I feel such a connection to Simon Peter in this moment. I remember a time in our life when our son was very sick and his hospital bills were so far beyond our meager capacity. We tried to work extra hours, we tried to negotiate with the hospital to lower the bill, we argued, we cried, but what we didn’t do was pray. Of course, we prayed for our son to get better but we never prayed to God to help us with the financial part of the problem. We were encouraged by some friends and mentors to pray for that specific need and our nets were filled! In fact, they were overflowing. We never even considered that Jesus could or would address that need in our life. If you’ve been a Bible Journal reader or writer for a long time, you know that we experienced that miracle through you.Our Bible Journal family made that happen through the love of Jesus Christ. Jesus is talking about recognizing our own sin. Until we examine our hearts and place ourselves in a posture of humility we can’t begin to accept His mercy. Next, we need to realize that we truly can’t save ourselves. Often, despite our best intentions we make errors in judgement or our pride gets in the way of asking for help. Finally, we need to be ready to leave everything else behind including the false God’s we rely upon for protection and follow Him. Levi the tax collector first encounters Jesus while sitting in his tax collecting booth. Jesus implores him to “follow me” and Levi is moved in that moment. He leaves the promise of money, status and power to follow Jesus by faith. I’m not sure that I’d have the strength to do that. If Jesus came to my work place tomorrow and said “follow me” I hope I’d be ready. Today’s scripture has so many examples of Jesus ministering to people in their day to day struggles. I hope that encourages you to pray this week for the little things. Pray for Him to intercede and truly move in your life. Today’s reading is Luke 18:2-8 and Psalm 127. How often do we try to “build our house” without the Lord? 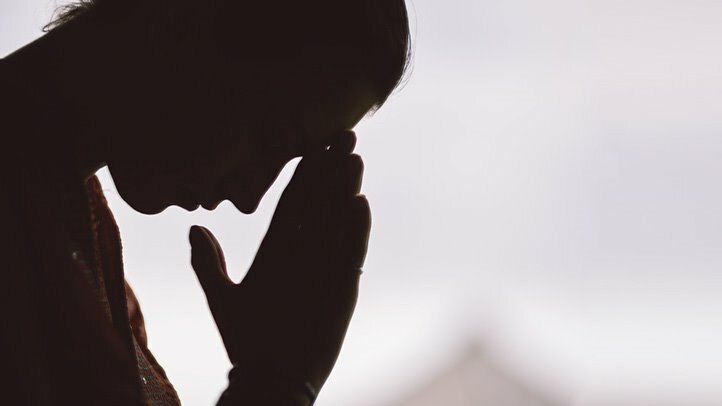 In reflecting back on the prayers throughout most of my life, my prayers have typically involved asking for forgiveness for my sins, thanking God for dying on the cross for me, and praying for others’ needs of which I’m aware. While asking for forgiveness for my sins and believing in His death on the cross is sufficient to go to Heaven and praying for the needs of others is noble and something God wants…I don’t think that’s all He wants. Meriam-Webster defines Lord as “one having power and authority over others.” God wants to be Lord of your life, not just some of your life, but all of it. God doesn’t just want some of your heart, he wants all of it. It says clearly in John 15:5, “apart from me you can do nothing.” God wants our marriage, our kids, our careers, our finances, our health…he wants EVERYTHING. He wants to be Lord of all those things. He wants us to surrender all of those things to Him and His lordship (authority)..not just our sins. Why do we hold back our personal needs and desires from Him and not ask Him for help, guidance, and wisdom in all these areas of our life? Why do we not acknowledge he’s already in control of these things anyway and ask Him for help? We don’t think he really cares about our needs..big and small. Why would he be concerned about little old me? However, Psalm 139:13-14 tells us He knit us together in our mother’s womb, and we are fearfully and wonderfully made by Him. Matthew 10:29-30 tells us that not even a sparrow falls without God knowing and even the hairs on our head are numbered. We fear He won’t answer our prayers the way we want which may in turn cause us to question whether He really cares or even question His sovereignty. My Mom always told me as a child God answers all prayers. However, he just may not answer them in the exact way we ask them. Romans 8:28 tells us, “And we know that for those who love God all things work together for good, for those who are called according to His purpose.” We must trust and believe this. We may wonder why even bother because of past prayers that we feel were unanswered and may even hold animosity towards Him due to this. But, Isaiah 55:8-9 says, “For my thoughts are not your thoughts, neither are your ways my ways, declares the Lord. For as the heavens are higher than the earth, so are my ways higher than your ways and my thoughts than your thoughts.” We never know the good that may come out of things we feel are really bad in our eyes, and I’m sure all of us can think of some prayers we thought were unanswered but later realized it was actually a good thing. Either our desires are truly selfish or we feel because they benefit us in some earthly way they must be. Just because something benefits us doesn’t mean it’s selfish necessarily. We can use earthly gifts and blessings for His glory when we consciously think about it, give Him the due praise and glory, and then use those gifts for His glory. Truly surrendering all to Him means we are doing all for His glory and not ours. We give all areas of our life to Him and His lordship. It’s not about us, and it’s never been about us. It’s about Him. Once we surrender it all to Him, He will truly bless us. Abraham and Sarah waited until age 100 for Isaac. Can you imagine how precious and coveted this child was to Abraham? God then asked Abraham to sacrifice Isaac, the son he had waited all this time for. Not until the very last second when Abraham had the knife raised did God stop Abraham. Not until he knew Abraham was truly going to give his most prized possession to Him did God stop him. Then, God tells Abraham because he obeyed him and did not spare his beloved son he will surely bless him and give him more offspring than the sand on the seashores. He surrendered it all, and God blessed. Check this out in Genesis 22. Maybe God is holding back things from you because you are holding things back from Him. You are not asking Him for help and giving it to Him. He’s waiting until you give them all to Him and will use them for His glory. He loves you enough to not give them to you until you do because He knows that’s when you will be truly satisfied and fulfilled..when you give it all to Him. He’s waiting for you to go “all in” with Him. We read in Luke 18:2-8 where an unrighteous judge gave a persistent widow justice against her adversary because she kept asking him to do so. The question is posed that if an unrighteous judge will give help because you keep asking, won’t God if you truly cry out to Him for help? What more does God really need to do than give us His only Son to show us His love and tell us we can bring him all our troubles surrendering all to Him? If today someone else sacrificed themselves or their son for my life, would that not tell me all I needed to know about their care and love for me? Surrender your entire life to Him…not just some areas…all of them. Ask Him for help. Do not build your house in vain. Make every area of your life “Holy Gound.” It’s what He’s been waiting for. It’s what you’ve been waiting for that will give you peace and comfort that surpass understanding. 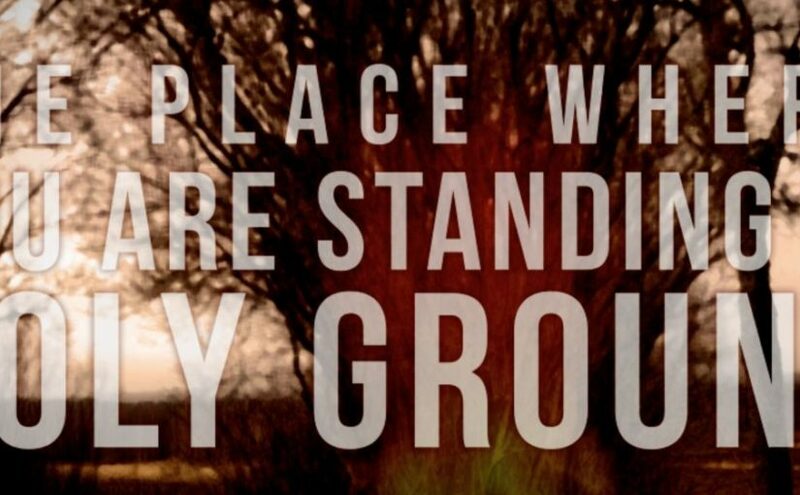 Let us pray the words of the song Holy Ground below by Passion/Melodie Malone..
“…Come and have your way Jesus. I have a desk in our unfinished basement tucked away in the corner just out of the way of most flying balls or pucks. This is a usual spot for reflection and prayer. 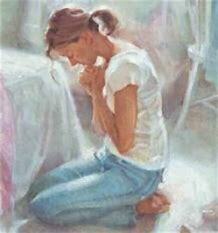 At my desk, dinner table, bed, car, school or church how are my prayers? In the longest recorded sermon given by Jesus, He describes the traits He was looking for His followers. Jesus requires consistent heartfelt prayer. He is not looking for a series of words but a true confession of the heart. This confession can be anything, because He already knows. As I reflect on my various daily prayers there are times when I read this verse I pause to think am I always honest and sincere? At times do I babble? Do I take for granite the fact that God is right there listening to every prayer. Even the dinner prayers were I’m attempting to keep the boys from calling each other out for having their eyes open. I believe as our relationship with God grows closer so does our prayer life . We are reminded that our Father who is mentioned 17 times in the Sermon on the Mount knows what is truly on our hearts. My flesh side of my self can be at times fearful, while at opposite times it can be full of pride. This lacks the closeness and the honest heartfelt prayers our Father desires. Pastor Mike Baker a couple weeks ago shared four prayer killers that can take away from a sincere closeness to my Heavenly Father. Which one of these can get in my way of the genuine one on one intimacy God desires no matter my location or circumstance? Psalm 71: 18 Even when I am old and gray, do not forsake me, my God, till I declare your power to the next generation, your mighty acts to all that are to come. Today’s reading is 1 Samuel 30 and Psalm 31. One of the things I love about writing for Bible Journal is it really makes me take a step back and ask myself what God is teaching us through Scriptures where I may have easily glanced over it during a quick read. Today, I was blown away by 2 great leadership examples through David in 1 Samuel 30. 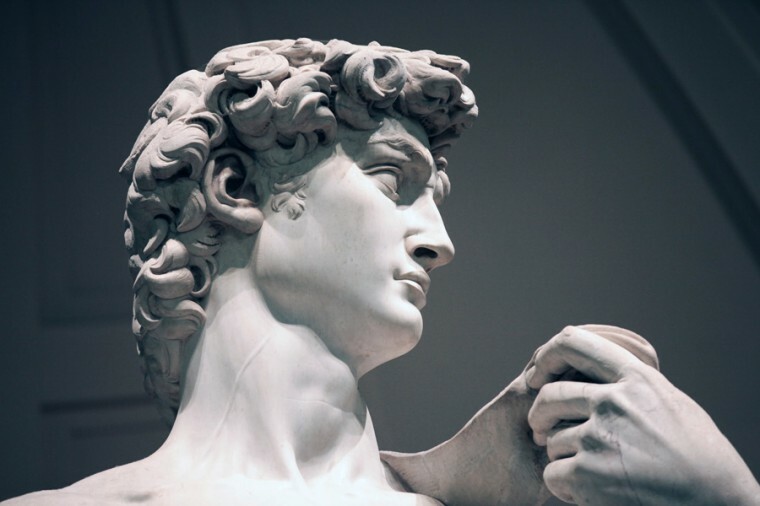 First, we see in 1 Samuel 30:6 David “strengthened himself in the Lord His God.” How did David do this? He came to Lord in prayer, asking for wisdom as to what to do, and then he took action by following the Lord’s direction pursuing Amalekites. Let’s not glance over how terrible it looked for David. His town had been burned and his family was gone leaving him not knowing if they were dead or alive. David faced trouble with Saul, but I often think of the people always loving David due to his victory over Goliath amongst others, but apparently it was still a “what have you done for me lately world” back then because we also read in verse 6 the people talked of stoning him. Psalm 31 gives us a prayer by David which is likely very similar to what David prayed during this time. We know in Matthew 11:28 Jesus tells us, “Come to me all who labor and are heavy laden, I will give you rest.” God doesn’t care if you haven’t turned to Him in the past and if it took things getting really bad before you turned to Him for the first time or again in some cases. He just wants your heart..now. He wants you to believe fully that He will pull you through it trusting in Him. What challenge are you facing today you don’t think you can handle or rebound from? “Strengthen yourself in the Lord” by praying for wisdom and guidance…then trust in Him and act upon His direction. This is what David did and his family was safely returned through he and his people’s victory over the Amalekites. The second lesson we learn from David is when things are going great and the Lord gives us victory, we give the glory to God. For it is Him who does these things through us. How easy is it to be prideful in thinking…”look at what I did”….when things are going well. We are all guilty of this. Psalm 31:23 tells us that is not a good thing to do. Those who went into battle did not want to give their winnings to those who stayed back, but David says in 1 Samuel 30, “You shall not do so, my brothers, with what the Lord has given us and given into our hand the hand that came against us.” David immediately recognizes in the presence of others this victory came from God and gives him the credit. I love the quote, “Being humble does not mean thinking less of yourself, it means thinking of yourself less.” Why should we think less of our self and that we are not capable or that God doesn’t have big things planned for us? Psalm 139:13 tells us we were created by the Almighty God and he “knit” us together. Thinking less of our self essentially means thinking less of God then since He created us, doesn’t it? But, in being humble, we DO think of ourselves less, and we give to those around us just as David models in 1 Samuel 30:24. We must think to ourselves, “For it was not me who did this, but God through me.” David realized not everyone is meant to be a mighty warrior and go into battle. He shared with those for whom God had a different role. Both leadership lessons of strengthening ourselves in the Lord by trusting in Him through prayer, believing He can pull us out of any situation no matter how impossible it looks because our confidence is in Him, not our self, and then giving the glory to God are summed up by Paul again in Ephesians 3:20-21. Let us move forward today in confidence and give him the glory! Jonah 1:17: And the Lord appointed a great fish to swallow up Jonah. And Jonah was in the belly of the fish three days and three nights. There are many times within a day, lets be real I’m a mom of a 7 year old and 3 year old boys, a junior high teacher and living in this crazy society. There are definitely many times within a day I need to pause and PRAY! I am not perfect, I am trying to live out a life the best I can to be like Jesus, but it is far from perfect. Take a moment to pause…PRAY and even bring out pain, suffering, or struggles by our sins. God knows our sins and imperfections. The Lord will welcome us to the throne of grace, just like He did with Jonah. It is not easy, we live in the picture-perfect world through social media. No one wants to admit their imperfections. It is so easy to get caught up in a world that does not live like Jesus did. Whether it is your workplace, family, or friends; how are you going to show others the love and grace that Jesus has shown us? Stop and pray for the mom at the store whose screaming child is throwing a huge fit or a friend who is struggling with a relationship. No matter the struggle big or small, God is here for us we just need to take the time to pray. What better way to show Jesus’ love then the power of prayer. Don’t just say “I’ll pray for you” actually pause and do it! At the end of the day, Jesus is the judge of us all. Jonah shows us that no matter where you are, even at the bottom of the ocean in the stomach of a fish, we can too pray because God is always with us. He walks with us and alongside us in the crazy place we call life. Pause, take a moment to PRAY, and most of all thank God for all He does for us. He is a miracle worker and we are so undeserved of everything He has done for us. Praise be to God! Jonah 2:10: And the Lord spoke to the fish, and it vomited Jonah out upon the dry land. Miracle worker? I believe so! Pray and trust in God! They shall speak of the glory of your kingdom and tell of your power, to make known to the children of man your mighty deeds, and the glorious splendor of your kingdom. The Lord preserves all who love him, but the wicked he will destroy. In this psalm, David lists several reasons why God is worthy of our praise: He is great. His greatness is unsearchable. He does mighty and wondrous works. He is abundantly good. He is righteous. He is gracious and merciful. He is slow to anger. His love is steadfast (I love this one! – It reminds me of the picture of an anchor). He is good to all. He has mercy on us. He is powerful. His kingdom is everlasting. He is faithful and kind. He upholds the fallen. He is a provider. He satisfies our deepest desires. He is near. He saves. He preserves all who love him. That’s quite a list, right?! David’s response to all of who God is is simply this: praise. David will meditate on God’s works, and in response, David will declare God’s greatness and sing aloud of His righteousness. David says that he will extol God, and that he will bless Him and praise His name forever. David praises God for the work He has done in David’s life, and for who He is. Perhaps this is a good time, as we near the end of 2017, to take some time to write out your praises to God. Consider what He has done for you this year, and praise Him for the times of blessing and the times of stretching and growing. Consider His attributes, the aspects of His character, and praise Him for those. And consider that when we praise Him, we link arms with those around the world who are doing the exact same thing. We join in that chorus of praise. Merry Christmas! The struggle is real! How many times do we declare our faith and fall short? Jesus knows our earthly struggles. Peter was told by Jesus that in the very same day he would disown Jesus three times. God has seen humans fall short since the Garden of Eden. As I read through Mark 14 even in the presence of the Lord, the disciples fell short in submitting to God’s will. There are times when we do as well. But in these stories of the disciples falling short, Jesus leaves hints of how to stay connected to Him. His word is packed with promises for today and tomorrow. 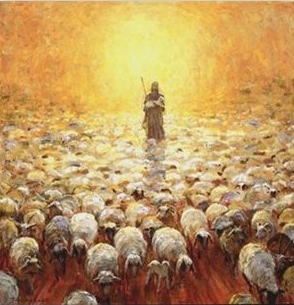 The visual I see of sheep scattering is a perfect image of what I can be like sometimes when trials come my way. A quick reflex, eyes wide open, with arms flailing in an opposite direction, possibly stumbling, trying to get up so I can get away. Jesus lets us know He goes before us. That even Peter, who believed he would never deny Him, did so in the same night. That we can’t rely on ourselves to get through hard circumstances. We have to call on Him and trust. Jesus provides us some reminders as we read Mark. 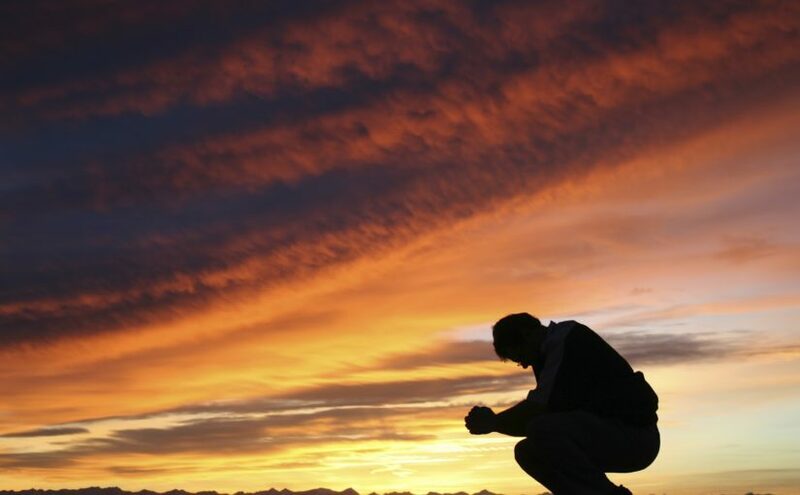 Prayer – Mark 14:35 Going a little farther, he fell to the ground and prayed that if possible the hour might pass from him. 36 “Abba, Father,” he said, “everything is possible for you. Take this cup from me. Yet not what I will, but what you will.” All things are possible through prayer. All things can be included in your prayer life. Most days I will pray to be more prayerful? It’s when I think I have I have it under control the Lord has His way of saying, Why are you not asking me? Psalm 145: 18:19 The Lord is near to all who call upon Him, To all who call upon Him in truth. He will fulfill the desire of those who fear Him; He also will hear their cry and save them. Stay Awake – It’s easy to get caught up in schedule that has you looking into the end of the week as we worry about the things to be wrapped, this gift to find, the party you have to attend, or these things at work that need to be done. It can be the problem that still hasn’t been solved that is now growing and leaving you half-minded. Be aware of God’s presence right now in your life, waiting for you to call Him. Don’t do it alone – Having and realizing God is with us all the time is amazing. It God always being with us, do life with others. I think of our small group and how many circumstances in our lives we have walked through together. I think of the many brothers and sisters in Christ I have been able to talk with and hear timely words of wisdom from when there was no way at all I was going to figure out that problem. Sharing your struggles with others can provide you with the additional blessings and strength you may need. Same with you and others, we supply that same blessing and prayer. Together we provide strength and growth towards Christlikeness. Thank you to all of you that have made such a difference in my walk with the Lord. Please always know I’m here for you too. you stretch out your hand against the wrath of my enemies, and your right hand delivers me. The Lord will fulfill his purpose for me; your steadfast love, O Lord, endures forever. Do not forsake the work of your hands.